Are you ready to learn more? Visit our Geothermal Heating & Cooling page or call 402-709-4750 to speak with an energy expert. Farmland runs for miles and miles in the area surrounding Elkhorn & Omaha, NE, uninterrupted by trees and buildings. Take advantage of the direct sunlight for more than just growing crops - install solar panels on your property to generate clean, renewable energy. In addition to being clean, solar energy is efficient and reliable. Make the simple switch with help from Great Plains Renewables. Our team is equipped to install the latest and most advanced solar panels on your property. Call today to learn more. Great Plains Renewables makes it simple for you to switch to renewable energy. All you have to do is call us to schedule an installation appointment, and we'll handle the rest. We use our own state-of-the-art equipment for geothermal heating and cooling systems. We also offer solar energy solutions. 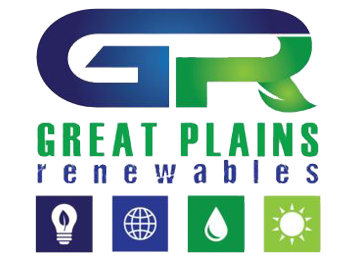 Call 402-709-4750 today to schedule your renewable energy system installation from Great Plains Renewables in Elkhorn & Omaha, NE.